These Heavy duty inverters are ideal for larger Office, Farm, House, Hotels etc, Range available 1KVA to 15KVA single phase. Used for longer power backups and "are an absolute bet" in place for a Generator. 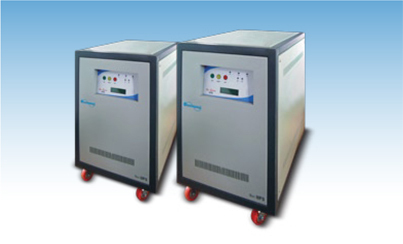 These heavy duty inverters are ideal for larger Office, Farm, House, Hotels etc, Range available 5KVA to 60KVA.